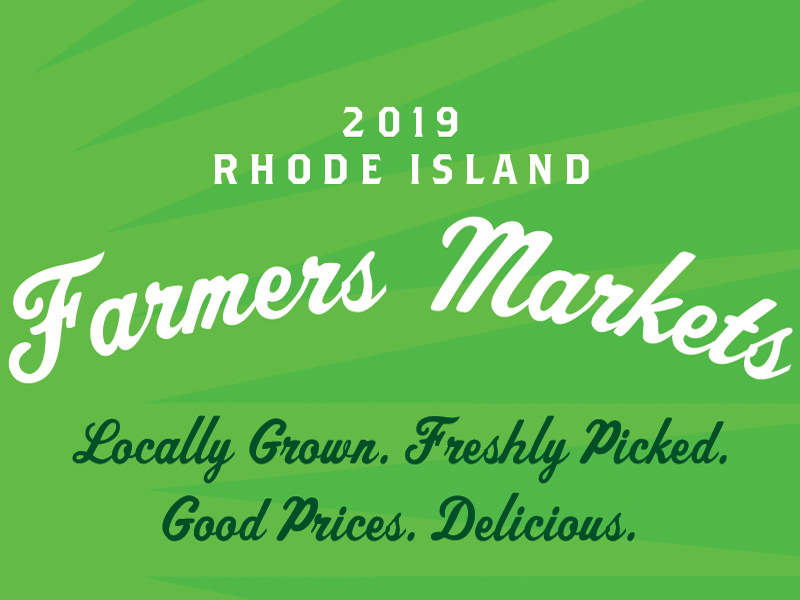 We’re thrilled to bring you this year’s Rhode Island Farmers Market Guide for the 2019 summertime season! We offer this list of statewide farmers markets as a service to the community of growers, shoppers, and farmers market coordinators that make it all possible. Just TWO more Saturdays to go at the largest indoor farmers market in New England! 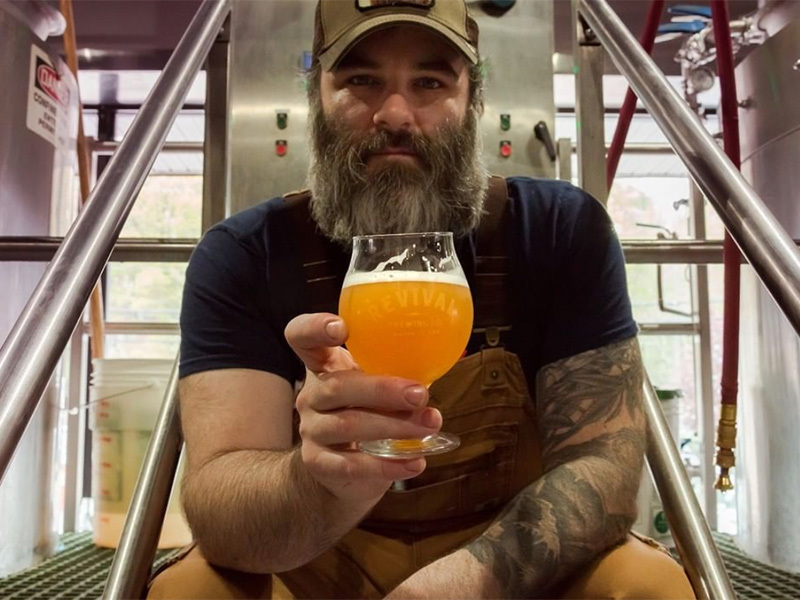 Join us tomorrow for a free beer tasting with Revival Brewing Company! This season’s totes are now on sale for $12 — get your attractive and useful memento from this year’s winter market! Melville Grille makes its last visit to the market for the season tomorrow… read how you can save $1! Plus, don’t miss egg decorating at the Empowerment Factory! 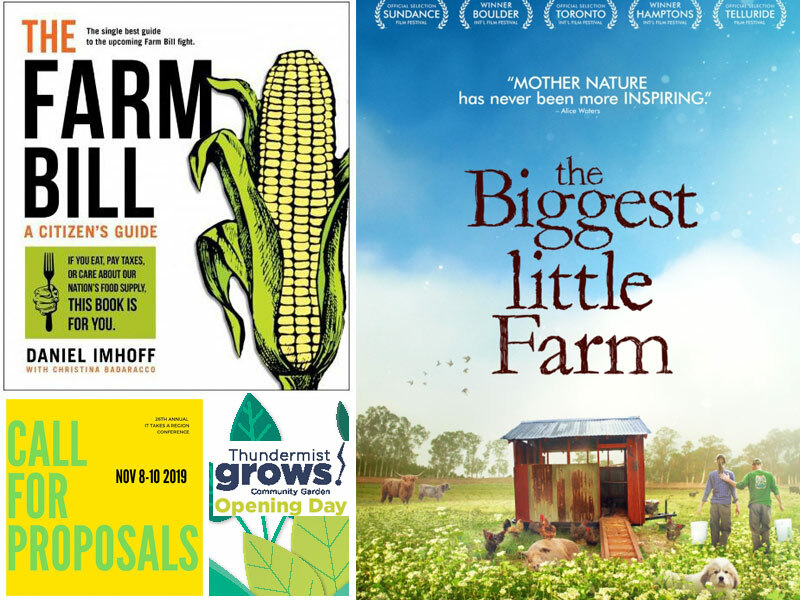 Don’t miss this food system news from around our region: Opening Day for the Thundermist Community Garden in West Warwick is April 20. newportFILM is having a cocktail reception & screening of the film “The Biggest Little Farm” at the Casino Theatre in Newport on April 25. If you’ve ever wondered about what exactly is in the Farm Bill, join the RI Food Policy Council on May 20 to learn more. And calling all proposals for NESAWG’s upcoming “It Takes A Region” conference! 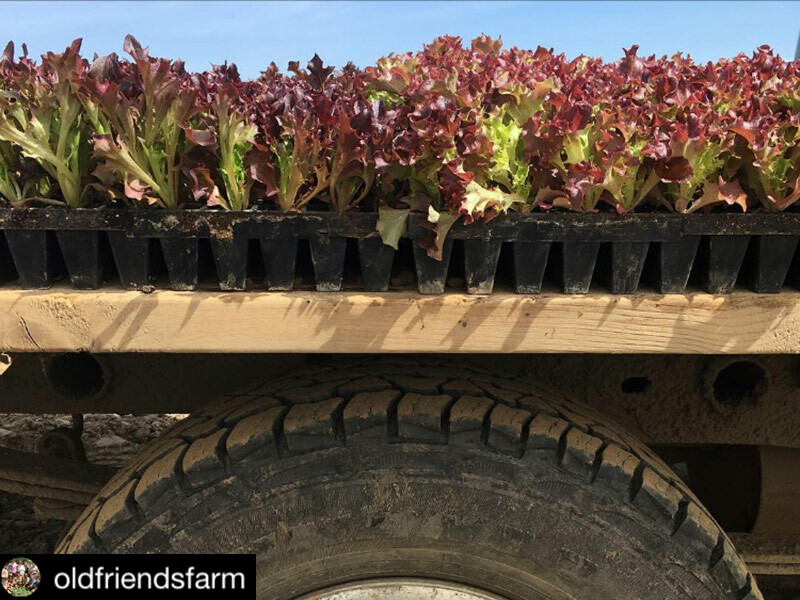 On April 14, our Nutrition Education team had the pleasure of participating in the Providence Children’s Museum “Farm Friends” event for the second year in a row. 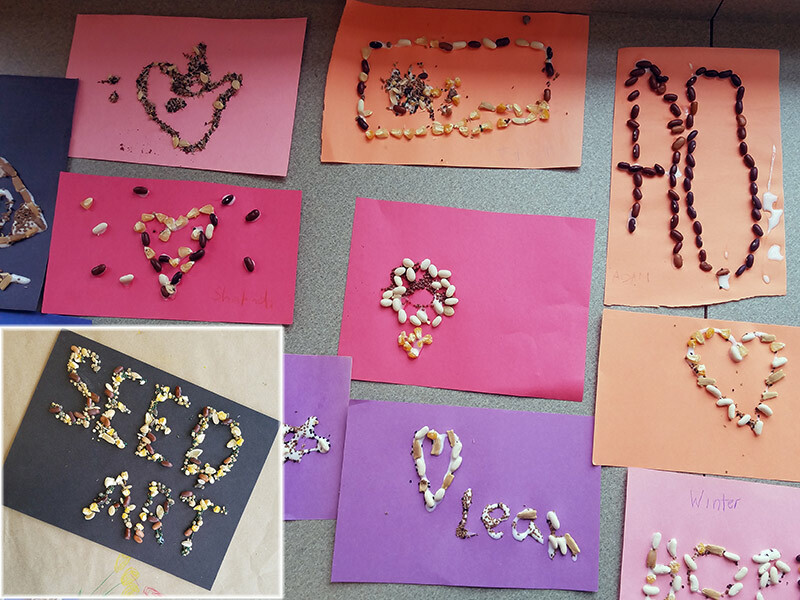 We had a lot of fun with the children and their families who attended — making seed art together, trying samples of our homemade granola (get the recipe! 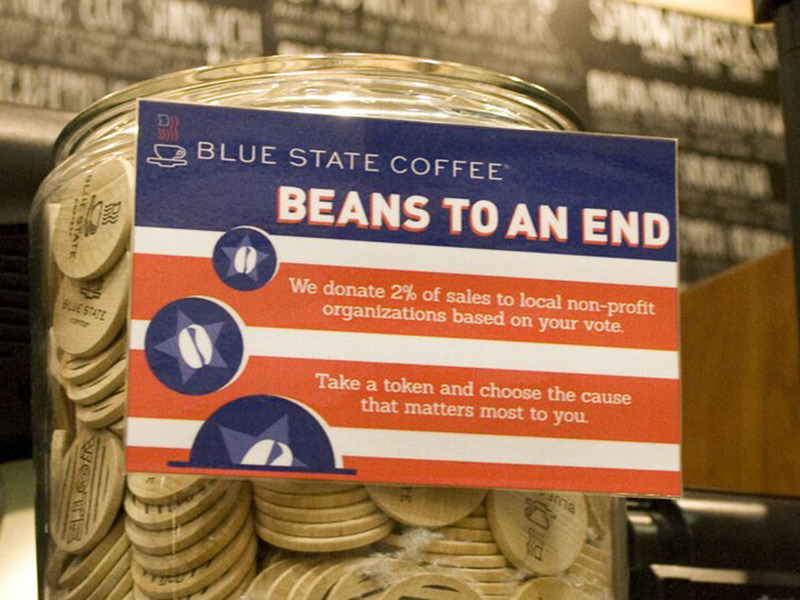 ), and holding a raffle to guess the number of farms in RI! Take a peek into Market Mobile each week to see some of the locally grown items on offer — like Gazelle Spinach, Swiss Chard, and Rutabaga — and get a taste of the wide range of restaurants, schools, grocers, and other businesses sourcing local in our community. Just THREE more Saturdays to go! Join us for the largest indoor farmers market of its kind in New England Saturdays 9am to 1pm through April 27! 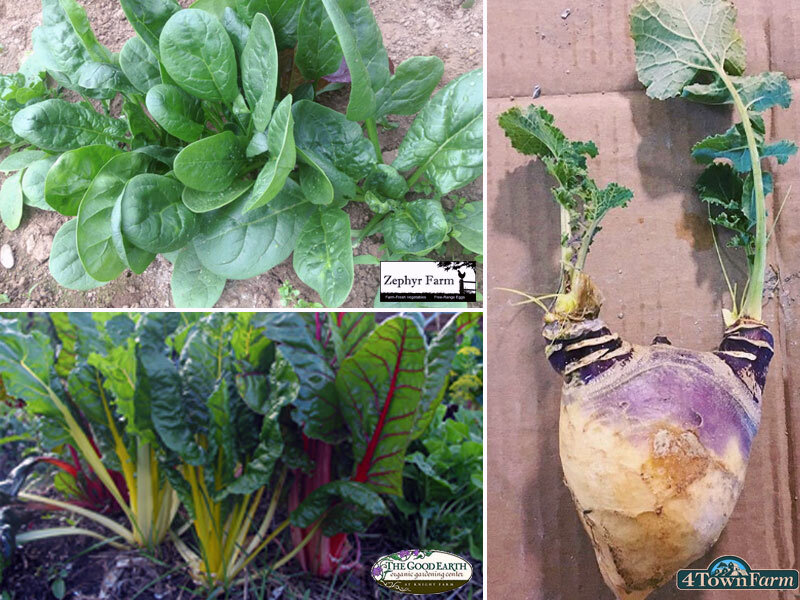 It’s time to get your plant starts from Lucayda Farm! Old Friends Farm is back for their final visit of the season. Did you know you can pre-order your juice from Fully Rooted and pick up at the market? Plus, SAVE THE DATE: Revival Brewing Co. beer tasting coming up 4/20! 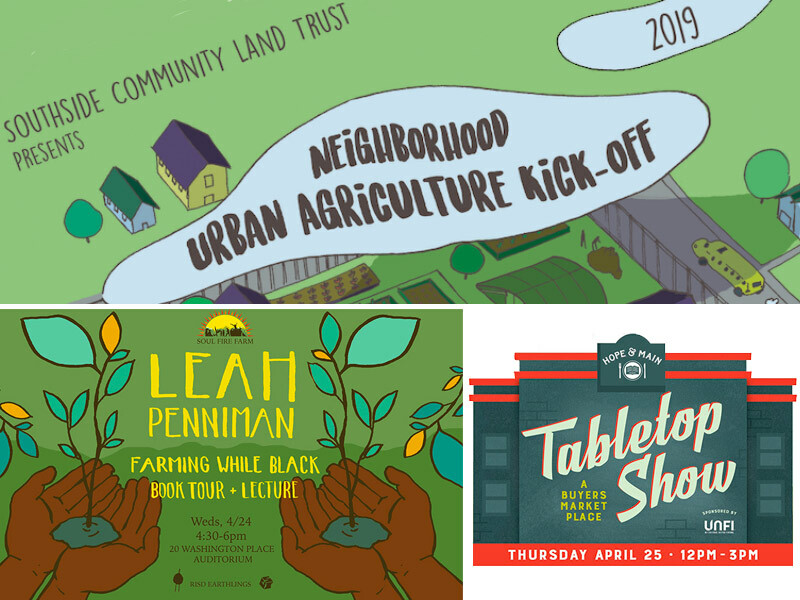 Don’t miss this food system news from around our region: Usher in gardening season at Southside Community Land Trust’s annual Urban Ag Kick-Off at four Providence locations April 13! 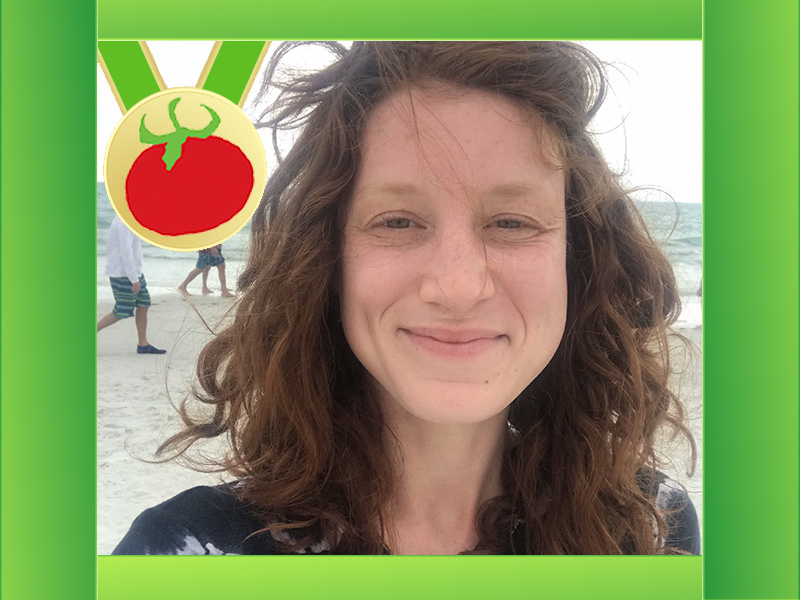 Hear Leah Penniman, co-founder of Soul Fire Farm, speak about her work as a food justice activist and her book “Farming While Black” April 24. Hope & Main’s annual Tabletop Show for wholesale buyers is coming up April 25 and will feature 26 of the organization’s member companies, 10 of which are making their debut! 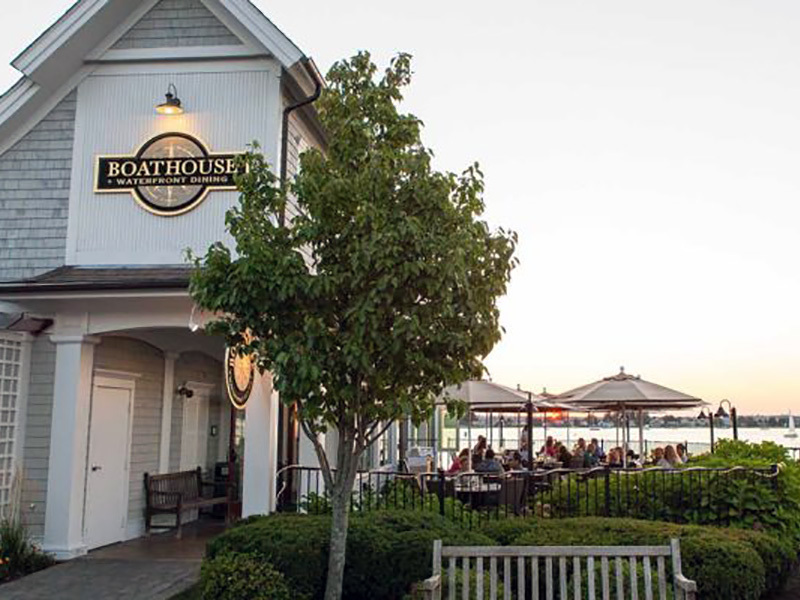 Take a peek into Market Mobile each week to see some of the locally grown items on offer, and get a taste of the wide range of restaurants, schools, grocers, and other businesses sourcing local in our community — like the Boathouse restaurant in Tiverton. Just FOUR more Saturdays to go! Join us for the largest indoor farmers market of its kind in New England Saturdays 9am to 1pm through April 27! Spring has come to the farms of our region. 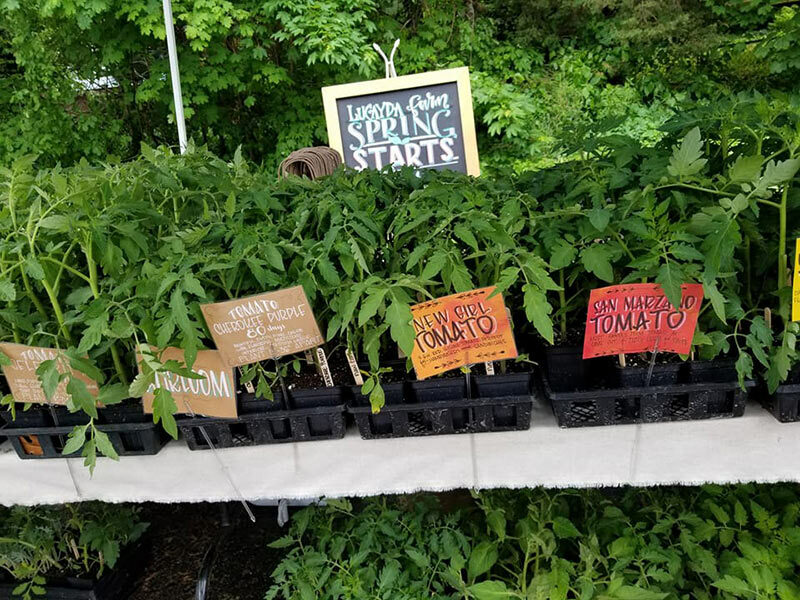 That means the market is beginning to fill up with more spring delicacies and our springtime vendor — Lucayda Farm — is back at the market with their beautiful plant starts! 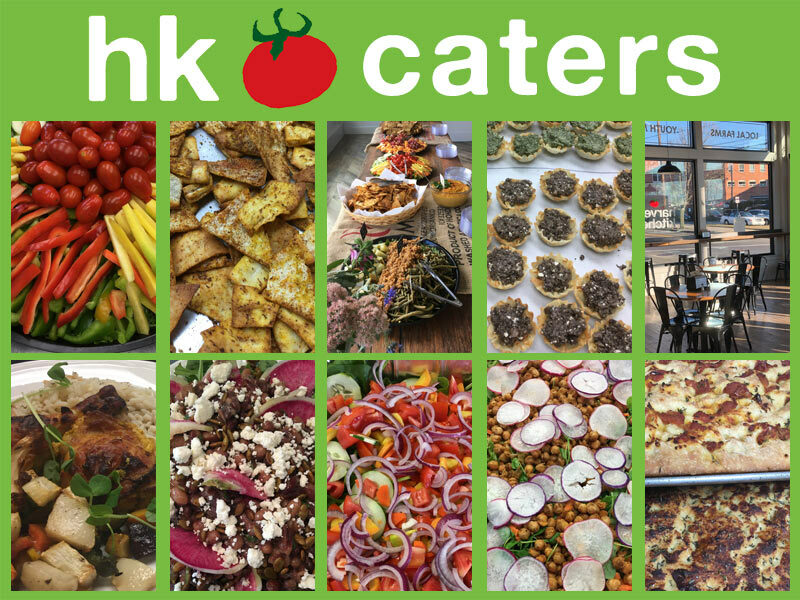 Let our Harvest Kitchen chefs cater your next business meeting, luncheon, celebration, or other gathering! We’re happy to work with you to customize a menu featuring locally grown and locally made ingredients. 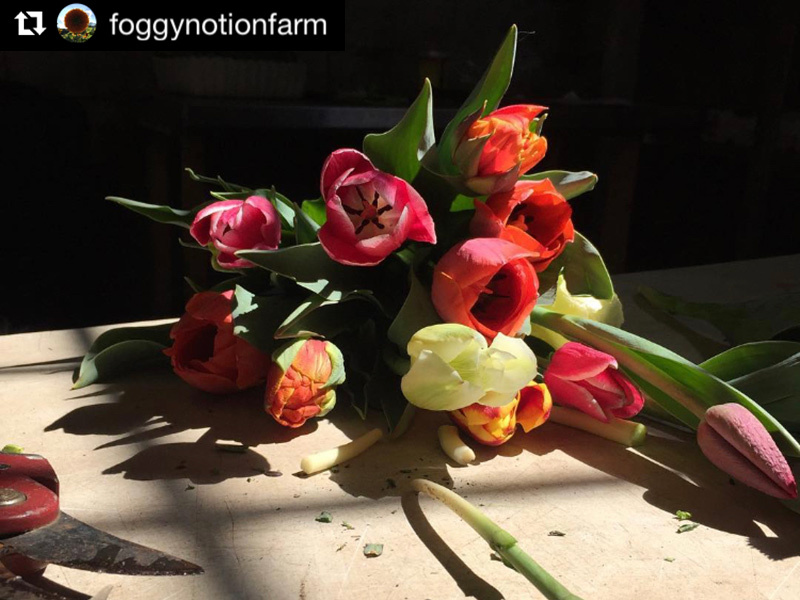 Take a peek into Market Mobile each week to see some of the locally grown items on offer — like mixed tulips from Foggy Notion Farm in Johnston — and get a taste of the wide range of restaurants, schools, grocers, and other businesses sourcing local in our community. Join us for the largest indoor farmers market of its kind in New England every Saturday through April, 9am to 1pm. 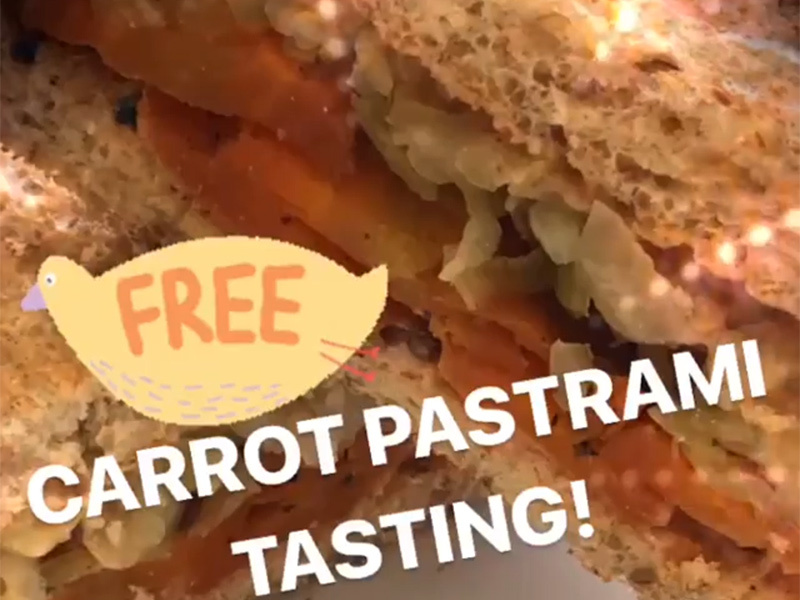 MARCH TO SPRING MONTH is coming to a close tomorrow with a free tasting by our own Harvest Kitchen. It’s your LAST CHANCE to play this season’s *Who’s Hungry Games* for your chances to win market prizes! Spring is in full swing at SkyDog Farm, Harvest Kitchen serves Coffee-Roasted Carrot Bisque, and bring home a piece of this season’s market with a tote bag — on sale for $15!